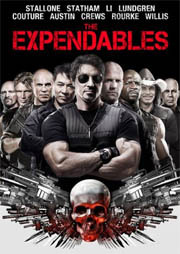 A massive list of 23,322 U.S. Internet users are expected to receive a settlement letter in which they are accused of illegally downloading The Expendables on BitTorrent. The defendants are part of the largest file-sharing related lawsuit in history, through which the film studio Nu Image hopes to recoup tens of millions of dollars. Since 2010 the United States Copyright Group (USCG) has sued tens of thousands of BitTorrent users who allegedly shared films without the consent of copyright holders. Their aim is never to take any of the cases to court, but to get alleged infringers to pay a substantial cash settlement to make legal action go away. Recognizing the potential profitability of the scheme, which some equal to extortion, other law firms across the country were quick to replicate the strategy. While these newcomers mostly focused on adult content, USCG stuck to more mainstream film producers such as the makers of The Hurt Locker. In February of this year the lawyers filed a new mass lawsuit on behalf of another major client, Nu Image, the studio behind the action flick The Expendables. Initially this case included 6,500 John Doe defendants, but this group has now expanded to a massive 23,322 sharers, making it the biggest BitTorrent lawsuit ever. After filing the initial suit USCG and their tracking partner kept scouring the Internet for more BitTorrent users who were sharing the film. With hundreds and thousands of copies still being shared in recent months, the pool of potential defendants was almost endless. Thousands of these individuals have now been added to the original lawsuit, adding the total number up to 23,322. Those who wonder what the motive of the movie is to start this massive case only has to look at the revenue potential. A simple calculation shows that the profit can be enormous. If only 75 percent of all defendants pay a $2,000 settlement, the plaintiffs would earn more than $35 million, which equals more than a third of the total box office grosses ($103 million) in the US. The chances of this happening are not slim either. Contrary to several other cases we reported on lately, the District Court of Columbia gave the green light to subpoena the ISPs for the personal details of the account holders associated with the ‘infringing’ IP-addresses. This means that in due time these defendants will receive a settlement proposal in their mailboxes. The full 371 page list of the ‘suspected’ IP-addresses can be found below. c There are 132 comments. Add yours?